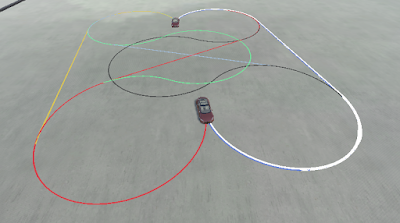 The yellow lines in the image above are the possible paths if the car is driving forward and the blue lines are the possible paths if the car is reversing. 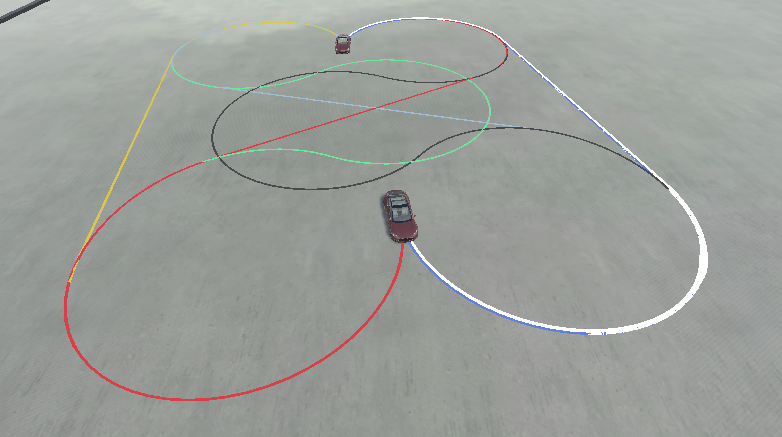 If you want more details about the Hybrid A star pathfinding algorithm, I've written a more detailed description here: Explaining the Hybrid A Star pathfinding algorithm for selfdriving cars. But the problem with Hybrid A star is that it doesn't care about the final orientation of the car. So if you want to make sure that your car is ending up at a position with a certain heading, then you need to modify Hybrid A star. There are two common ways to modify the algorithm so you end up at a position with a certain heading: Dubins paths and Reeds-Shepp paths. Both paths types are very similar and the basic idea is that you get the shortest path by trying different combinations of circles and straight lines between circles. You can actually add these 12 paths to Hybrid A star and get a solution where Hybrid A star will (sometimes) end up at the desired position and heading. 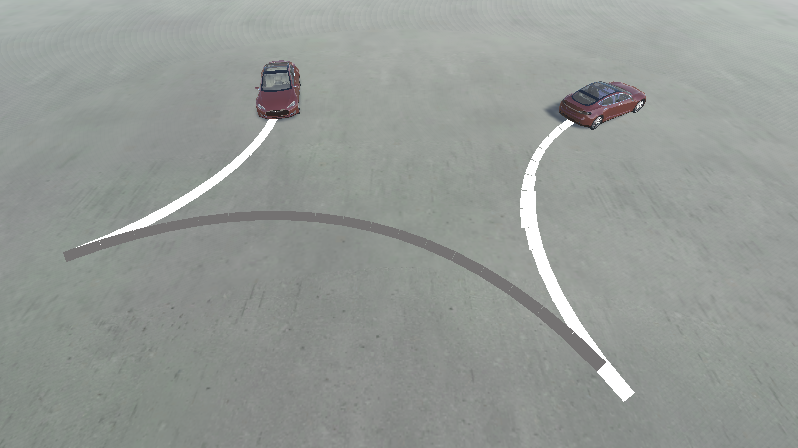 So when you expand the search tree you can test if a fixed path solution is available by testing if the car can drive the entire path and not collide with an obstacle. It will be way too slow to test it when you expand each branch so make sure to test it every x branch and test it more often when you are closer to the goal. It will not always work because an obstacle may be in the way, but it's a better solution than the solution we had before. If you want to learn how to make Dubins paths, I've written a tutorial on how to do it: How to make Dubins paths in Unity with C# code. 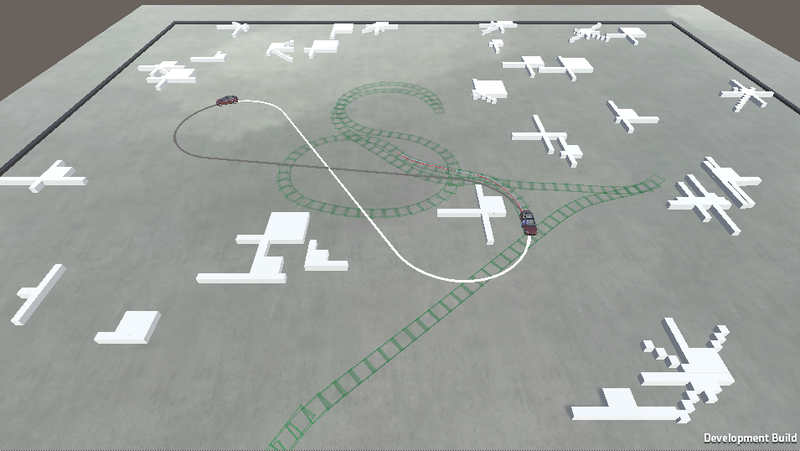 If you want to test the final self-driving car, you can test it here: A self-driving car finding its way through a maze.